On April 14 at the Hopkins-Nanjing Center, Zi Zhongyun, senior fellow and former director of the American Studies Institute in the Chinese Academy of Social Sciences (CASS) met with students. Professor Zi is an old friend of the Center. 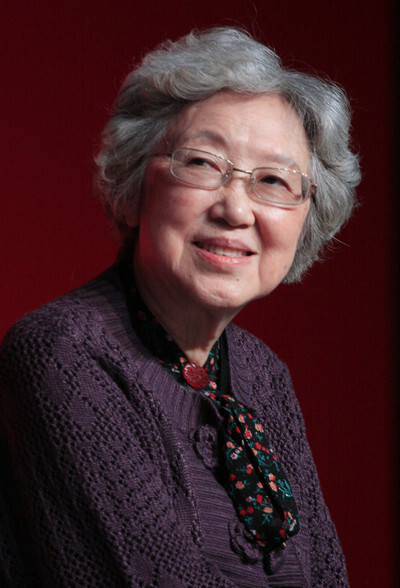 She taught for a semester in 1994 and from 2000 to 2005 served as the Chinese co-director of the Center’s institute for international research. Her last visit to the center was over two years ago during October 2012. At the time she held a lecture regarding contemporary international events. This time, instead of presenting a lecture, Professor Zi held an intimate conversation with HNC students, answering students’ questions regarding her view on Chinese political reforms and international relations. Professor Zi considers herself a Chinese liberal who believes in universal values. While she appreciates the motivation behind President Xi Jinping’s current anti-corruption campaign, she emphasized that only through the successful implementation of the rule of the law will the campaign become successful. She also warned against the strong nationalist and aggressive attitude held by some Chinese scholars and citizens towards China’s land disputes with neighboring countries. According to Professor Zi, men now possess so many means to destroy themselves that starting a war over a tiny island is unreasonable. Professor Zi’s perspective on war in East Asia as a result of territorial disputes applies to both the Diaoyu Island disputes and China’s recent conflict with the Philippines. An interesting point made by Professor Zi regarding Sino-US relations is that she hoped China will talk less about “Chinese characteristics” and the US will downplay the issue of “American exceptionalism” in future talks. In her own words, we are all human beings and this is why there are certain universal values to which we should all adhere. Professor Zi also asserted that “Chinese characteristics” are an excuse the Chinese government uses to postpone political reform and reject the rule of law. She sees political reforms as the most urgent task for the new Chinese leadership and believes we should judge the performance of the Chinese government based on the success of current political reforms. Similarly, the US should not violate certain international norms in its foreign interventions simply due to its belief in “American exceptionalism.” In fact, she attributed the current Ukraine crisis to America’s “hardline” attitude on post-Soviet Russia during the 1990s, believing that America had not offered enough help to Russia’s democratic transition, resulting in a revival of Russian nationalism. To put it simply, what Professor Zi wishes to see is a change of direction in both China’s domestic politics and United States foreign policy. Professor Zi Zhongyun is a charismatic speaker and her informal style of engaging with HNC students impressed many.